In two days they had transferred random lengths of pine timber and plywood supplied into something almost never, ever seen around the streets of Epping these days. Many of us who are old enough to remember, will have grown up with much more primitive versions of what you see in the pictures here. Ours had the box that came with the groceries for the seat and fence palings and posts for the cross members. Wheels were purloined from our baby sister's pram or from the rubbish heap behind the local garage where ball races had been jettisoned. We assembled all the pieces with as much loving care as we could muster given that the only tools most of us could lay our hands on were the ancient claw hammers and rusting saws from the back of someone's laundry cupboard. Ours had no brakes. Feet were used instead. We arrived home with the heels of our new plastic sandals reduced to their plastic molecules distributed down the middle of the road and all the way to the bottom of the hill. The fun we had doing this, more than compensated for the hysterics when we arrived home with only half a sandal on each foot and several layers of skin abraded from our knees and feet. Out would come the mercurochrome and for days afterwards, we had the fun of picking at the scabs off our knees. Throughout the process, we were learning about using our initiative and problem solving which were highly desirable traits to have under our belts when it came the time to replace play for real work. 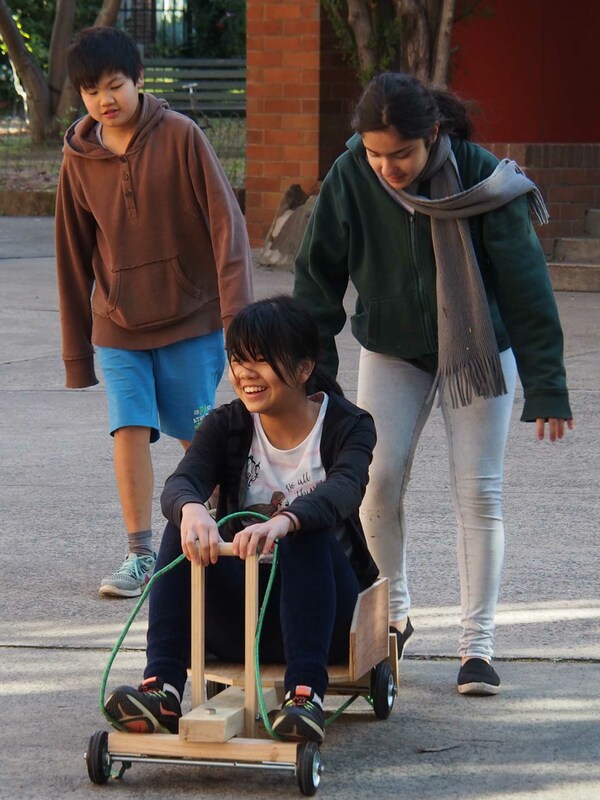 When asked for a show of hands last Friday morning, not one of our young people had ever seen a billy cart before. Just one, a girl, thought that it might have been called a 'trailer'. But these were far more than just trailers; these had wheels made of rubber and roller bearings and they had brakes attached. 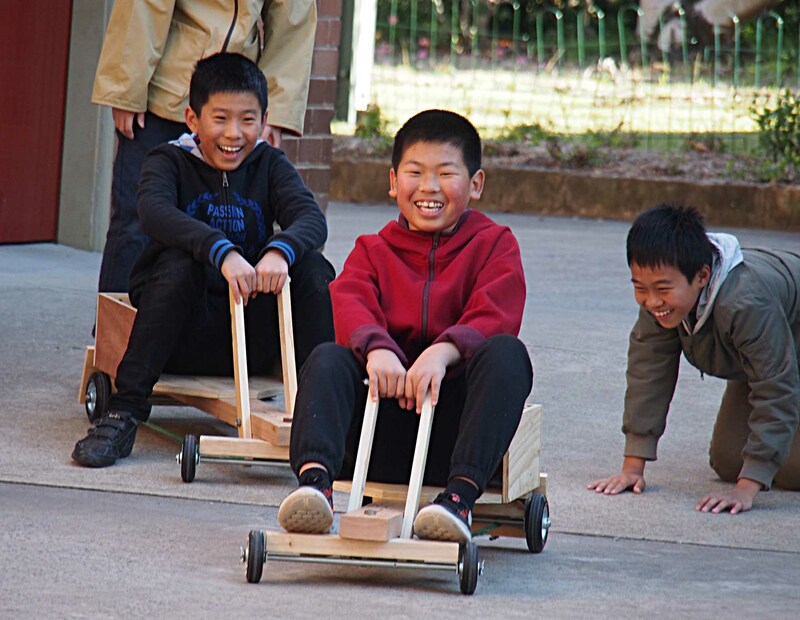 After about eight hours of 'kid work', there were four new billy carts ready to be road tested and just look at the expressions on the faces of the kids doing the road testing. Through the project, each young person learnt lots of useful things like how to turn a nail into a drill, how to drive a screw with a drill and how to operate a power saw without removing fingers.